George Bush came out of retirement Thursday to "indirectly decry Trumpism" and label all those opposed to open borders globalism as bigots, nativists and white supremacists. While Bush was fine staying silent throughout Obama's hyper-divisive eight years, he gave a speech attacking Trump one year ago during the election while pushing his 1 percenter (poll wise) brother Jeb. It had zero effect on the polls and Jeb dropped out of the race shortly thereafter. Bush's father George H.W. Bush told Democrat Kennedy Townsend he was voting for Hillary Clinton. �Bigotry seems emboldened. 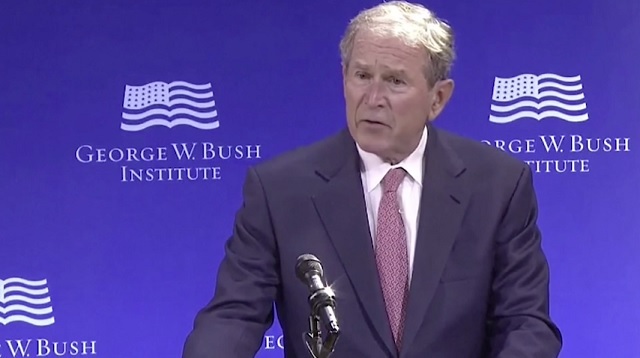 Our politics seems more vulnerable to conspiracy theories and outright fabrication,� Bush warned in remarks at the Bush Institute�s Spirit of Liberty event in New York. The biggest conspiracy theory of the last two decades was George W. Bush's claim that "Iraq has WMDs," which led to 1 million dead Iraqis, the rise of ISIS and the refugee crisis. The rise in so-called "bigotry" in America and Europe is directly related to the massive flooding of our countries with hostile foreigners, largely thanks to Bush and Obama's Middle Eastern wars and open borders policies. We have seen our discourse degraded by casual cruelty. At times, it can seem like the forces pulling us apart are stronger than the forces binding us together. Argument turns too easily into animosity. Disagreement escalates into dehumanization. Too often, we judge other groups by their worst examples while judging ourselves by our best intentions � forgetting the image of God we should see in each other. This from Mr. "You're Either With Us Or You're Against Us." Mr. "There Is No In Between." We�ve seen nationalism distorted into nativism � forgotten the dynamism that immigration has always brought to America. We see a fading confidence in the value of free markets and international trade � forgetting that conflict, instability, and poverty follow in the wake of protectionism. We have seen the return of isolationist sentiments � forgetting that American security is directly threatened by the chaos and despair of distant places, where threats such as terrorism, infectious disease, criminal gangs and drug trafficking tend to emerge. America is experiencing the sustained attempt by a hostile power to feed and exploit our country�s divisions. According to our intelligence services, the Russian government has made a project of turning Americans against each other. This effort is broad, systematic and stealthy, it�s conducted across a range of social media platforms. We should not be blind to the economic and social dislocations caused by globalization. People are hurting. They are angry. And, they are frustrated. We must hear them and help them. But we can�t wish globalization away, any more than we could wish away the agricultural revolution or the industrial revolution. One strength of free societies is their ability to adapt to economic and social disruptions. Our identity as a nation � unlike many other nations � is not determined by geography or ethnicity, by soil or blood. Being an American involves the embrace of high ideals and civic responsibility. 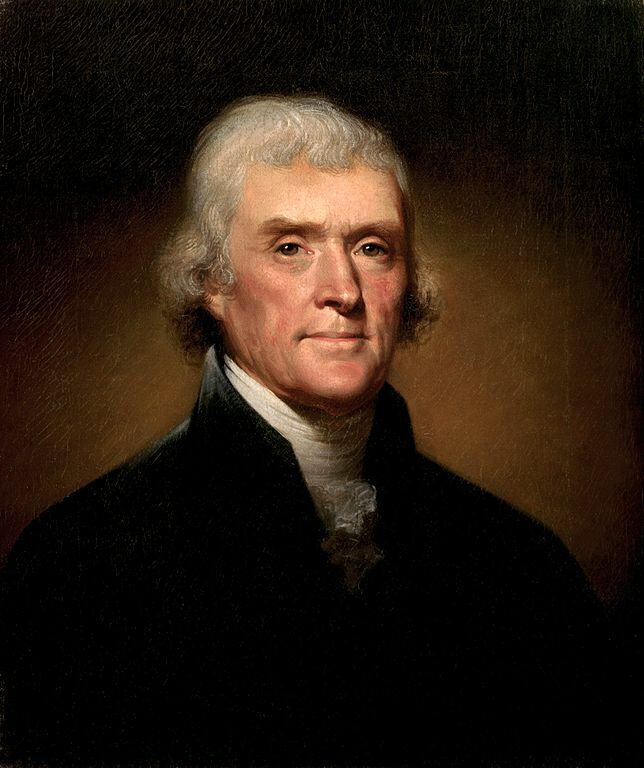 We become the heirs of Thomas Jefferson by accepting the ideal of human dignity found in the Declaration of Independence. We become the heirs of James Madison by understanding the genius and values of the U.S. Constitution. We become the heirs of Martin Luther King, Jr., by recognizing one another not by the color of their skin, but by the content of their character. Was America founded by "white supremacists" or by egalitarians? Are our Founding Fathers "blasphemous white supremacists" who lived contrary to the loosely defined "American creed" you just made up? 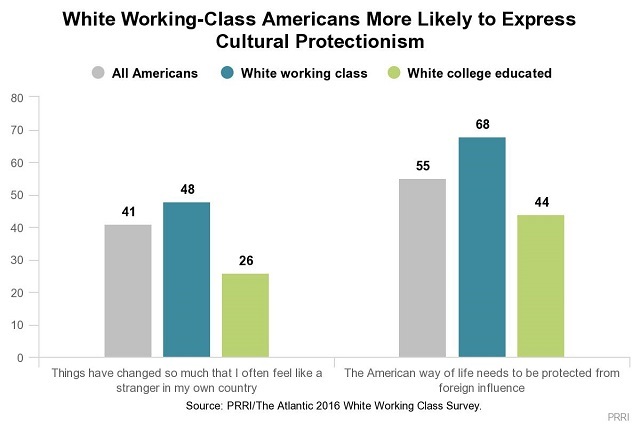 A recent survey found nearly half of white working-class Americans "feel like strangers in their own country." This whole issue comes down to the fact Americans are divided on the core of America's identity. According to a recent AP-NORC poll, 73% of Americans say our culture as established by the European immigrants who built America is either "extremely important" or "moderately important" while 26% say it's "not very important" or "not important at all."